Bridge type structure with portal in ribbed cast iron with stiff wall. 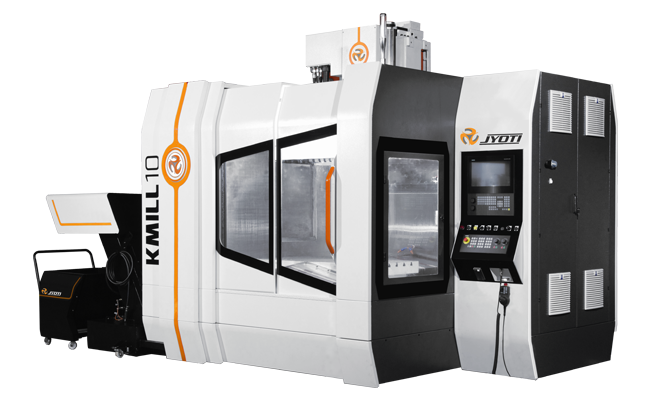 Hard material machining in a minimal time makes it HSM capable. Higher load carrying capacity of table. High speed 15000rpm, BT-40 electro-spindle. Wider roller type liner motion guide ways. Very large accessibility from the top. Fast Auto Tool Changer with 24 tools ATC.